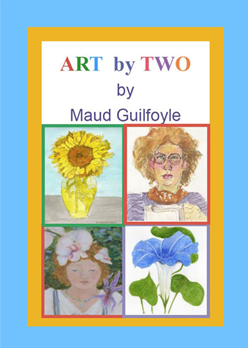 “Art by Two is a sweet and tangy remembrance – Maud Guilfoyle’s ode and tribute to her mother Peregrine Higgins, to their many-layered relationship, and to their collaboration in living “the art spirit”. With understatement and quiet reserve, the author recounts her childhood impressions of New York City and Fire Island, her intimacies with the natural world which still informs her artistic output. She recounts the push and pull of coming to terms with the bigger-than-life parent and artistic mentor that was her mother, and the bittersweet full circle experience of mentoring her mother through old age and failing memory to keep the art spirit in her strong.” Author and artist, Deedee Agee. Illustrated with original art of landscapes, figure drawings, portraits, and still life.